Nigerian Dwarf Goats - the total package! If you have ever wanted to have a dairy goat - these are wonderful little girls. They are fun pets as they are very smart and loving. Most Nigerians give about two quarts of milk a day. 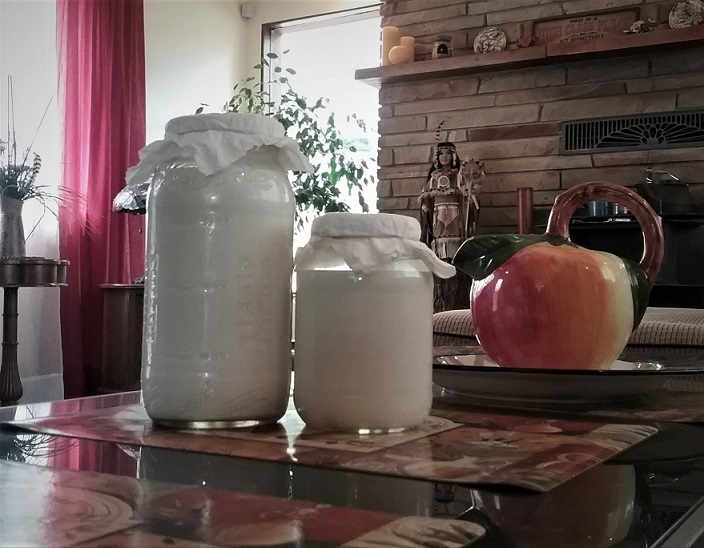 Their milk is high in butterfat making their yogurt and cheeses delicious. Nigerian Dwarfs are alot smaller and easier to handle than other breeds. Or if you need a couple of good weed and brush eaters, these are the ones. Nigerians are a very hardy breed and do a lot of work on blackberries, poison oak, thistles, etc. They are outside all day, only need a little shelter for winter rains and at night. 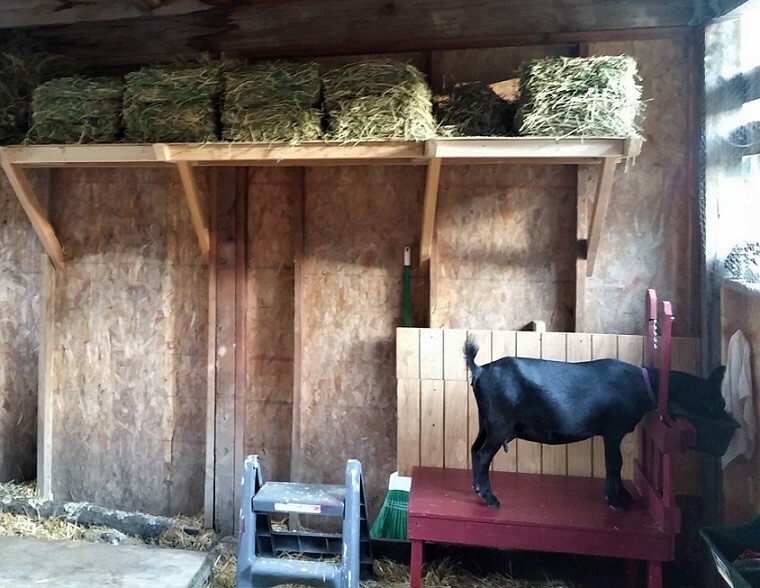 You need to have at least two goats, as they are herd animals and need to be with a buddy or they get extremely lonely, but you never can have too many dwarf goats! Our Nigerian dwarf goats come from excellent blood lines, including Rosasharn and Algedi farm, home of many show champions and milk production award winners. Kids are going to new homes disbudded and dewormed. 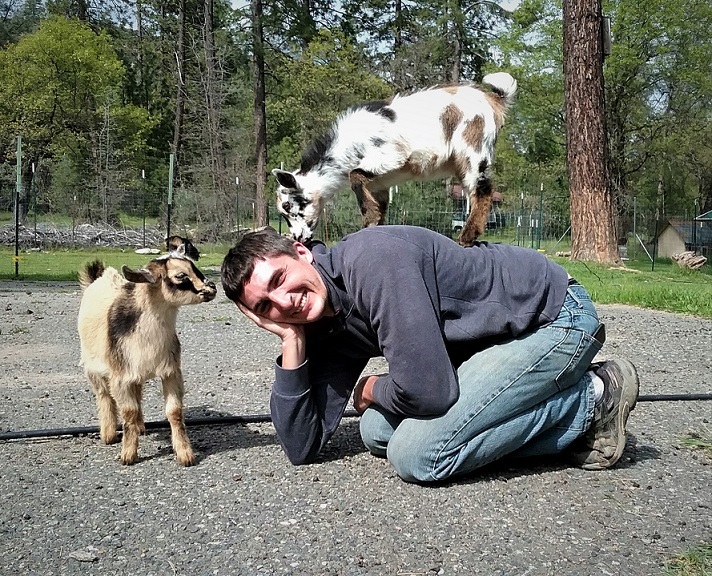 All our goats and kids are regestered in in ADGA (American Dairy Goat Association).